The Mirage Suite features three bedrooms with ensuite bathrooms, and eat-in kitchen and comfortable living space. 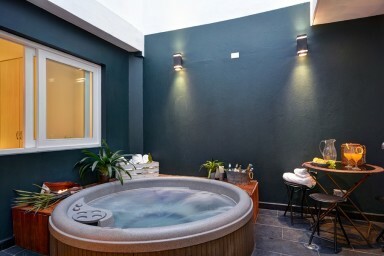 One of the many attractive features of this apartment is the four person Jacuzzi in the patio at the rear of the apartment which is semi exposed to the sky and let’s in an abundance of natural light. The quality of the fixtures, finishings and furniture is of the highest standard and all the Oasis suites will be the new benchmark for comfort and luxury in the nightlife zone. Note: The apartment entrance is directly on the 1st floor off the street. so the apt. is on a first level and one door between you and the street. There is a day time and night time guards and there is police in the area.